Have you found the same product for less at another shop or online store? Let us know and we will match it! 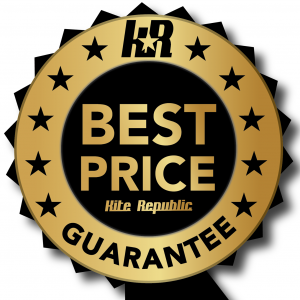 Always get the best price on Kiteboarding or Stand up Paddleboarding gear with KR. We will match the price of our competitors based on product price and delivery. The policy applies to competitor’s final price including GST, taxes, fees, delivery and other fees or charges. The competitor’s product must be in stock at the time of the price comparison. Approved price matches do not automatically apply to future transactions with Kite Republic. Kite Republic expressly reserve the right to refrain from price matching where this would result in a sale below cost price. All price matches are at our sole discretion. Kite Republic reserves the right to limit the quantity of products available for price-matching at its discretion.